May your pregnancy be easy, your baby be healthy and your comebacks to inappropriate questions be brilliant. Congratulations! You’ve been imagining your baby’s birth-day ever since you got that first positive pregnancy test. And, if you’re really being honest, you’ve been imagining the day long before you were pregnant. Whether this is your first or fifth pregnancy, the birth of THIS baby is a once in a lifetime moment. It's an indescribable feeling the minute you hold your fresh newborn for the first time. It’s one of those few occasions where time stands still and life is forever changed. Hearing the gentle cries from your baby after they made their way into your arms is unforgettable. And then, when the birth pause fades away and your mind is catching up to reality, you realize this is the strongest and bravest you have ever been in your entire life. You are a #SuperMom. This. This is what it’s all about friends. But how do you get to this point? Trust us when we say there is no wrong answer. There are so many ways to have a baby. Your pregnancy and birth doulas, Amy & Jordan are ready to support you and your choices. You and your baby have set out on your uncharted pregnancy journey together. Congrats! It's equally exhilarating and intimidating- no matter how many times you go through it. Before you dive into planning for how you want your labor and delivery to look, take a moment to appreciate how you and your baby are doing this whole pregnancy thing together for 40 weeks. You’re rocking it! This sweet combination of you and your little one hasn’t existed before, until now. Soak it all in. Be proud of the two of you working hard collectively to get to the day when you finally meet face to face. And while you’re at it, go ahead and give yourself a ton of grace during challenging times too. It's all about the journey. What can I expect from my Indiana Birth & Parenting doulas during my pregnancy? People usually hire a birth doula because they want someone there for labor and delivery support. While that's a huge part of typical doulas, we've learned our value lies deeply within the exceptional care our clients receive from us from the moment they hire us. We focus on supporting you through your entire pregnancy as much as we focus on supporting you through labor. We see the big picture, and we’re there for you every step of the way. What’s the advantage of your doula partnership/team model? We work seamlessly work together. You're getting two premium doulas for the price of one. We don't have back up doulas you’ve never met on standby to attend your birth if something comes up. You'll see one of our faces- a person you've bonded with and feel comfortable around- walk into your labor room when it's baby time. We always show up. Wait! There's more! 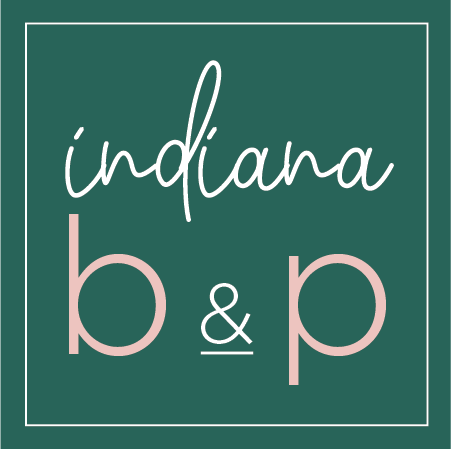 A valuable benefit you're gaining from Indiana Birth & Parenting is that you'll be connecting with Jordan and/or Amy directly every single time you contact our company. We take care of every detail personally, from beginning to end. This eliminates the confusion of who you should call for what. We handle all of it! Why hire a pregnancy & birth doula? You already know that babies are born in one of two ways. That’s straightforward, right?! It starts to feel overwhelming when you begin thinking how you're going to get through it! It’s around this time of uncertainty when parents start looking for doula support to add to their birth team. For us, it’s not about how you have your baby. It’s more about how you feel when you have your baby. Were you heard? Were you respected? Were you cared for? Did you feel strong? One sure thing- on the day you give birth to your baby, you’ll be the strongest you’ve ever been regardless of how it happens. As your doulas, we’ll strive to help you create a space where these feelings unfold. What’s included in the Indiana Birth & Parenting pregnancy & birth packages? We’re on call for you 24/7 from the time of hiring. We check in often with our clients, by phone calls and texts, but we know questions and concerns come up in between. That’s why we’re on call! After your initial consultation with us, we will come to your home together two more times to sit down with you and your partner for our Birth Prep and Welcome Home Planning sessions. These meetings are our favorite! It's where you get to know both of us, and where we get to know you. You’ll feel confident and prepared for the entire process afterward. We’ll already be in frequent contact during the early stages of your labor. Most of the time, we know you’re ready for us to head to the hospital before you know! We won’t show up until you’re ready and we stay with you during the duration of your labor and birth. We will visit your home shortly after you’re discharged from the hospital. It’s a great time for you to decompress, ask questions, and get some feeding/baby care support from the comfort of your own couch. Our support doesn’t stop there. We’ll be checking in with you often during the first months after birth and will continue to check in for the first year of your baby’s life. We encourage you to contact us when questions or concerns pop up. What’s the difference between the All-Inclusive and Inclusive Birth & Pregnancy packages? Our Inclusive package includes everything you see listed above. Our All-Inclusive package includes everything above, PLUS 20 hours of post-delivery/postpartum care. Let’s connect! Give us a call or send an message, and we’ll promptly set up your complimentary consultation. When you meet us, you’ll quickly learn that we are pregnancy and birth experts with the gentle and reassuring presence you’re looking for. Our calmness is our best asset as your doulas. We can’t wait to meet you!